Christmas In Cowboy Country – Disappointing And Lackluster! I grew up on Janet Dailey’s books published via Mills & Boon. She was one of my favorite authors and it was a monthly ritual to raid a bookstore for her books. I’ve enjoyed her Bannon Brothers Series and the Calder Series and have enjoyed them. 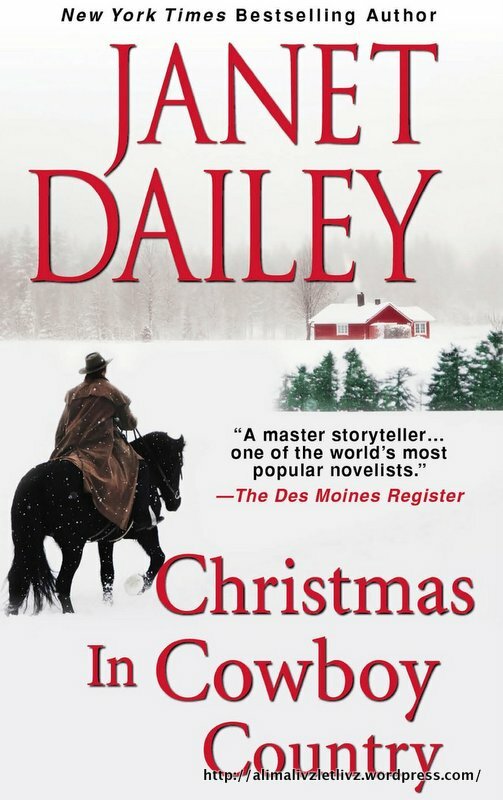 Her latest “Christmas In Cowboy Country” (Bennett Series), is unfortunately a disappointment for me. Considering that Janet Dailey is no more, I’m guessing that someone else’s completed her unfinished works. I can definitely see the difference in the narration and writing and was not able to hold my interest. Ski instructor Annie Bennett is back at her home ranch as she recovers from an accident and helps around her parents ranch. Marshall Stone is in Vail under the guise of a real estate surveyor trying to apprehend some real estate con artists. Annie meets Marshall, love blossoms and as the truth is revealed, they fall in love, too soon too fast! I couldn’t relate to Annie and Marshall. The plot was very thin and the characters did not have any depth and was hard for me to like them or be in their minds to enjoy the book. The romance was lackluster and I couldn’t feel the chemistry between Annie and Marshall. I really feel very sad writing an unsatisfactory review for one of Janet Dailey’s book, as I’ve always enjoyed her previous works. Die-hard fans of Janet Dailey may still enjoy the book.